Conca dei Marini is part of the Amalfi coast and like other small villages that make it up for 20 years heritage of humanity. 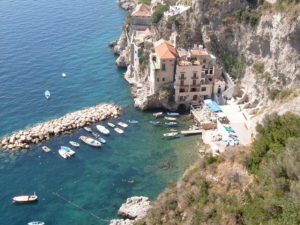 Conca is also the smallest Italian municipality. The origins of Conca dei Marini are very old. The place owes its name to its characteristic basin (in Italian, conca) shape and its immediate proximity to the sea (this is what “dei marini” stands for). Since 272 a.c. it was a very coveted place also for the position favourable to navigation. Conca dei Marini has always been known as the city of sailors and fishermen and fishing is still one of the most popular activities. In fact, as soon as you reach the coast of Conca you will notice numerous small boats of local workers. The beach of Conca gives one of the most evocative and typical images of the Amalfi coast. As soon as you get to the beach you notice that the coast is surrounded by small white houses and boats. 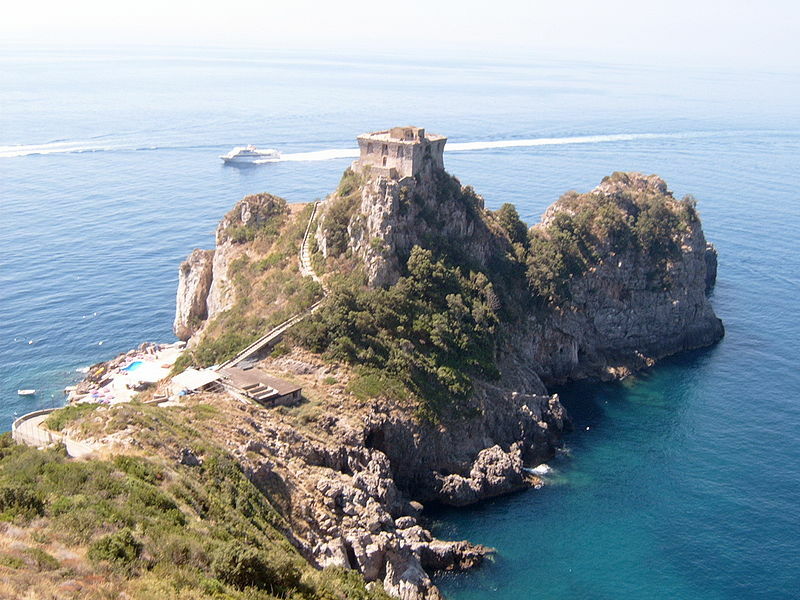 Among the attractions of Conca de Marini stands the Tower of Capo di Conca. It is a watchtower dating back to the sixteenth century located on a promontory, Capo di Conca. From there it is possible to admire the panorama of the coast. Another famous attraction of Conca dei Marini is the Emerald cave. It is a cave discovered by fisherman Luigi Buonocore in 1932. The cave owes its name to the colours that you can see going in there. Among the architectures to be visited stand out the religious ones, such as the church of Saint Giovanni Battista, dedicated to the patron St. Anthony of Padua; the church of St. Pancrazio, dating back to before 1300; the church of St. Michele Arcangelo and the Chapel of the Madonna della Neve. The mass celebrated on the beach every August 5th ends with a procession that goes in this church. Among the periods in which to visit Conca dei Marini it is better to stay there in summer, both for the opportunity to take advantage of the beach and for the many traditional and folk festivals that take place especially between July and September.